The study trip 2016 proposed to the FSMS members took place September 21 – 26, 2016 in Vienna, Austria. D1- Wednesday 21 September 2016 – 10:00 Flight AF / OS Paris CDG – 12:00 Vienna. Transfer to the city. Lunch. Visit of the Schönbrunn Palace. Dinner and night at the Hotel Erzherzog Rainer in Vienna. D2- Thursday 22 September 2016 –The Ring, then Museum für angewandte Kunst (MAK): museum ceramics collections & storage (1). Lunch. Kunsthistorisches Museum (2): Gemäldegalerie, Kunstkammer. 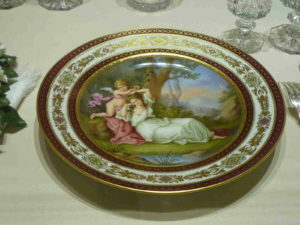 For the persons interested, visit of an auction exhibition at the Dorotheum Palace. Dinner and night at the hotel. D3- Friday 23 September 2016 – Visit of Stephansdom, then of the Liechtenstein Winter Palace in the Bankgasse (3). Lunch at the Augarten Cafe-Restaurant. Visit of the Porzellanmuseum im Augarten (4). Glance at Hundertwasserhaus & Kunsthaus. Dinner at the Vienna Jockey Club and night at the hotel. 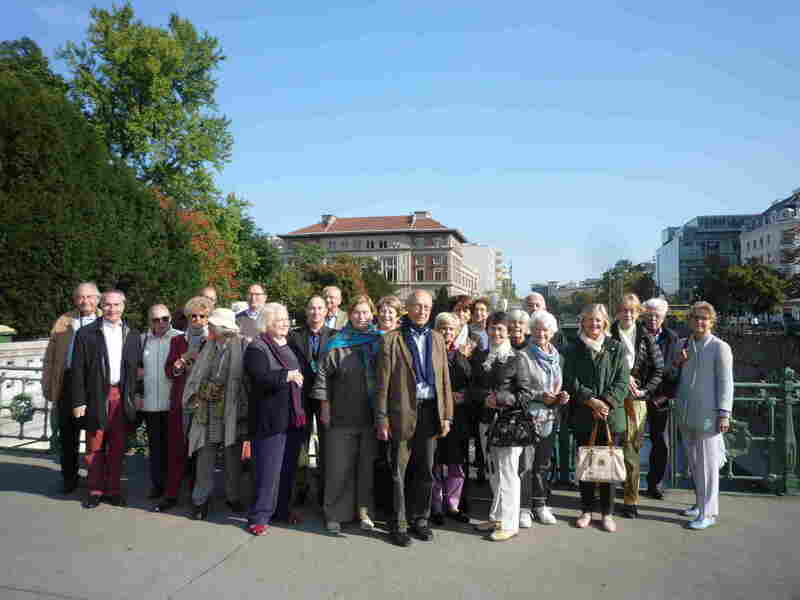 D4- Saturday 24 September 2016 – Visits of: the Karlskirche, the Wien Historisches Museum (5). Comments on the Otto Wagner pavilions, Karlsplatz. Visit of the Secessiongebaüde. Linke Wienzeile: Majolikahaus, Linke Wienzeile 38. Lunch in a restaurant of the market Naschmarkt. Afternoon and dinner free. Night at the hotel. D5- Sunday 25 September 2016 – Imperial Palace Hofburg: Hof-Tafel & Silberkammer, Schatzkammer. Lunch in a restaurant. Visits of: Albertina, National Bibliothek Prunksaal, Augustiner Kirche. Dinner in a Beisl, typical viennese restaurant and night at the hotel. D6- Monday 26 September 2016 – Visit of the Belvedere: Upper Belvedere Palace and park. Lunch in a restaurant. Departure to the airport – 16:05 Flight AF / OS Vienna – 18:10 Paris CDG. 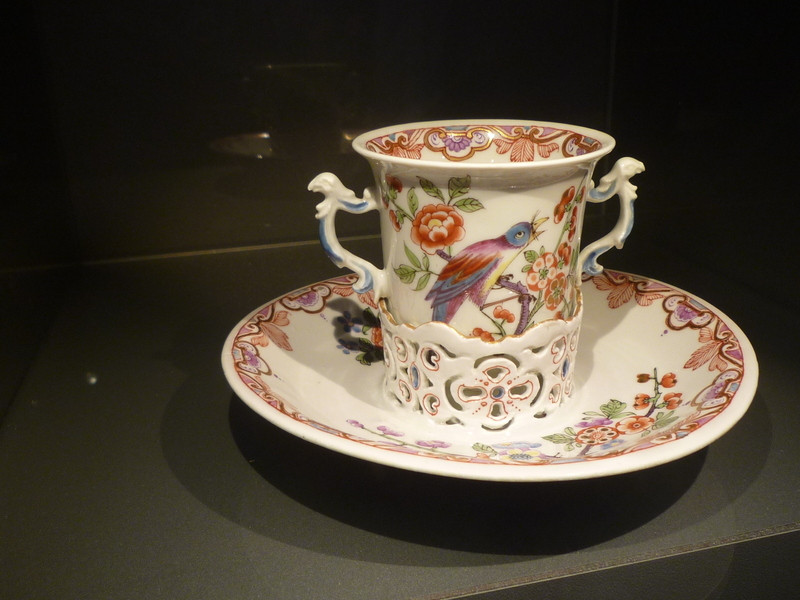 Fired with Passion, Viennese Baroque Porcelain of Claudius Innocentius du Paquier.